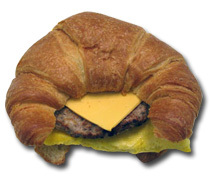 food products with easy integration. New regulations under the healthcare overhaul law require food service vendors to post nutritional information before consumers purchase. It is impossible to display all the nutritional facts on the front of each vending machine without affecting the visibility of the products. Adding digital displays is too costly... the solution is to direct the consumer to the National DataBase. Our solution connects your company's existing protocol to our real-time database of nutritional facts. We provide our clients with access to become (and keep) compliant, even when the FDA standard label changes. 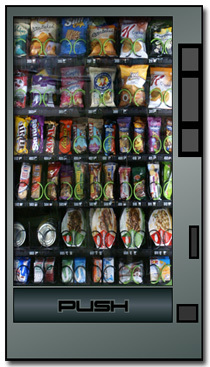 Take a brief tour of our online database solution of vending products by selecting the vending machine to the right. Why is this important to my Vending Company? 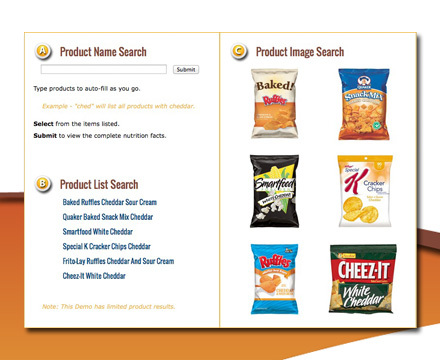 Membership programs include the ability to add new food items to your database as your product line changes. Once you add an item to your territory, we add it to your database (dependant on your Membership). Upon your request, we will update nutrition facts and packaging photography. Keep in mind, this in no way requires any additional programming of touch-screen devices, or purchasing of new QR labels. Your monthly Membership keeps you up to date with no additional fees. How does this affect my Micro-Market accounts? Membership programs include the ability to add new food items to your database at a minimal fee. Once an item is added to your database, you may at any time (dependant on your Membership) request updates on nutrition facts, ingredients, and packaging photography. Keep in mind, this in no way requires any additional programming of touch-screen devices, or purchasing of new QR labels. Your monthly Membership keeps you up to date with no additional fees. Contact our Software Development Team by selecting the Contact Us - Software Division button to the right. Our online form will take a few minutes to complete. This will allow us to best address your needs.